Authentic repro, because every detail matters. 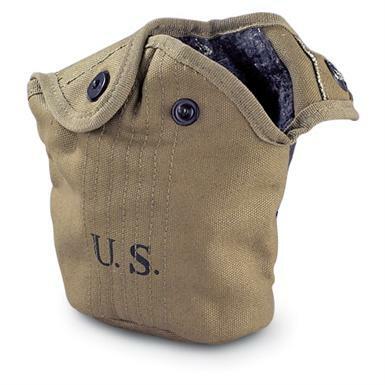 For serious WWII reenactors and enthusiasts, every detail needs to be correct, right down to the cover on your canteen. This WWII Reproduction Canteen Cover is a spot-on copy of the real deal, complete with wool liner and authentic markings.